See Spoonflower’s Sizing Your Image help article for more information on how to determine how big your image should be. 2. 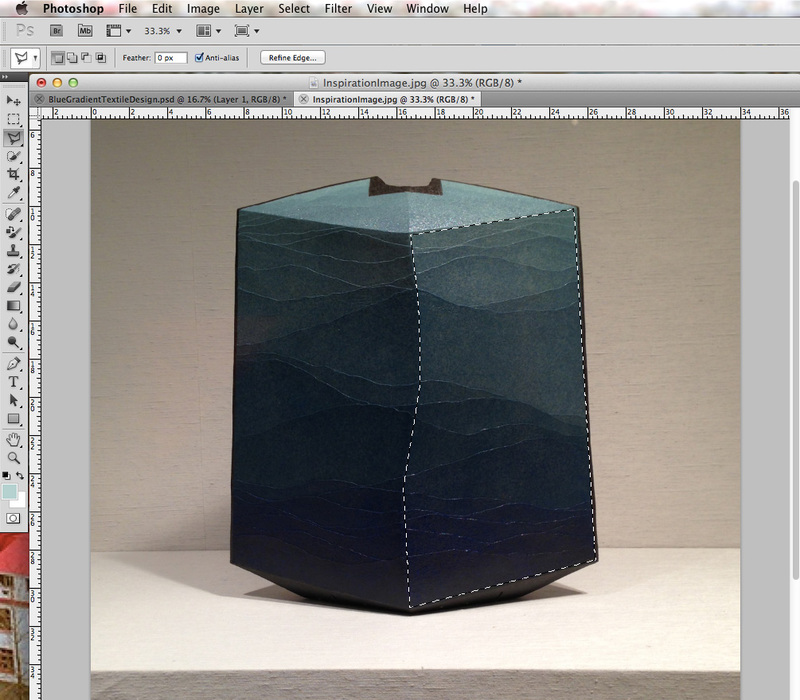 Jumping ahead for a second, I am going to build my textile design around a photo that I took of the vase, using the Polygonal Lasso Tool to select a part of the vase to give me the texture and base colors for my print. 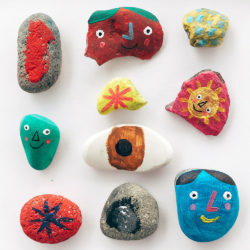 I will later click and drag this selection into my new 5400 pixels x 5400 pixels Photoshop document. Before I do that, I am going to change the foreground color to a light blue that matches the vase and create a slight gradient at the top of my document. 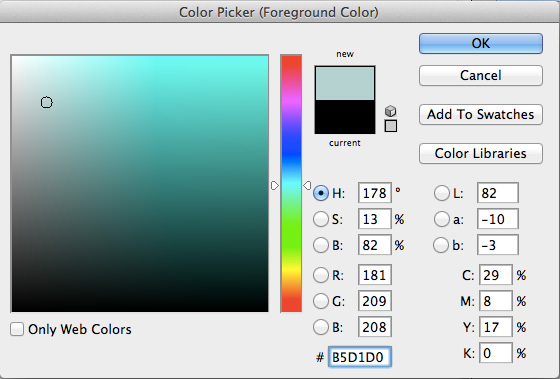 With the Color Picker window open, I entered in my desired HEX code (#B5D1D0). 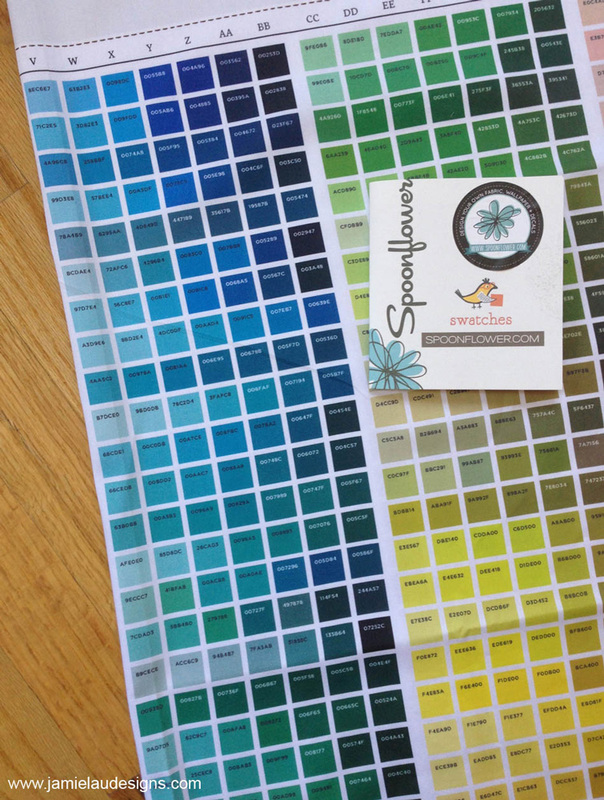 See Spoonflower’s Design Tools for more information on design resources including their Color Map, Color Guide, and Swatch Booklet. Next, using the Gradient Tool, I am going to fill my document with my selected foreground color, with a subtle gradient occurring at the top of my design. To help with my placement, I click and drag a vertical guide to run through the middle of the document and a horizontal guide to indicate where I will release the Gradient Tool. (Tip: Make sure “Snap To → Guides” is checked off in the View menu.) 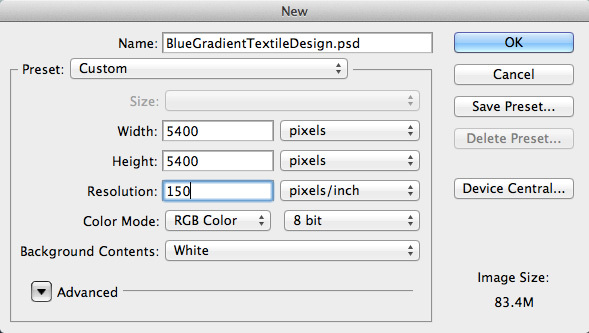 Next, create a new layer ("Layer → "New"). 3. I am now ready to click and drag the vase selection from my inspiration image window onto this new layer. 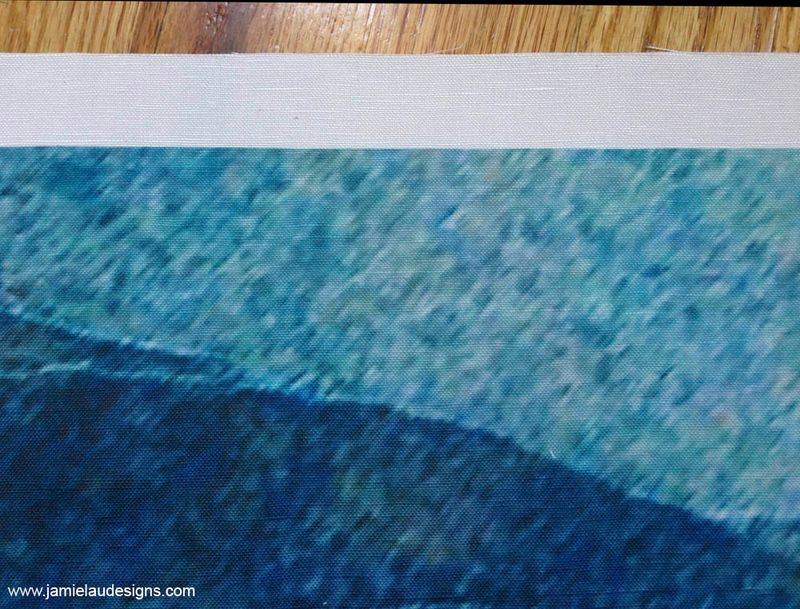 Since I am going for a painterly, natural effect – almost as if this was a dyed material – I am going to use the Free Transform ("Edit" → "Free Transform") command to enlarge the image, holding down the Shift key as I drag on the handles so I don’t distort the shape of my image. I release once I am able to cover up the rectangular area that falls to the left of the vertical guide, but below where the gradient begins (it may be helpful to drag a vertical guide here again to mark off the point). I crossed over the guides slightly since I am working with an awkward polygonal shape, but I will use the Eraser Tool to clean up this area next. I’m not going to worry about the excess to the right of the vertical guide because it will be covered up in the next few steps. Using the Rectangular Marquee Tool, I am going to select and isolate the area above the horizontal guide that needs to be cleaned up. Take care to make sure you still have that top layer selected. I will then use the Eraser Tool and a large brush size with 100% hardness to start erasing. Notice that the erasures are filling this area with my foreground color, so the gradient is visible and clear again. 4. I am now ready to create a mirror image of the vase texture. 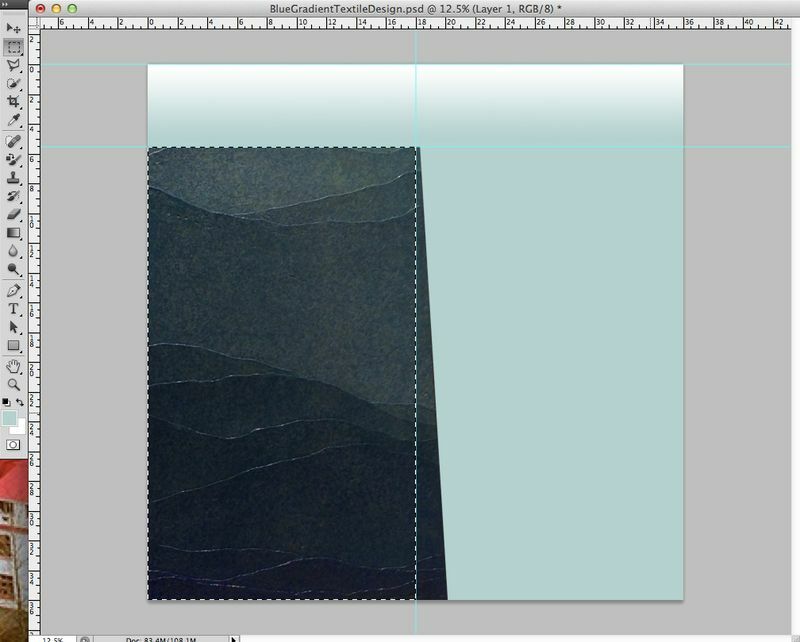 Using the Rectangular Marquee Tool again, I am going to select the rectangle formed below the horizontal guide and to the left of the vertical guide and select New → Layer via Copy in the Layer menu. This creates a copy of the selection and places it onto a new layer (Layer 2) directly above the previous layer (Layer 1). 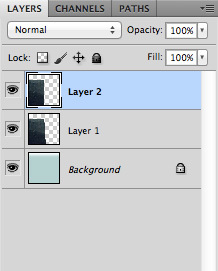 On the screen, it will look like nothing has happened, but the Layers palette will show a new layer. 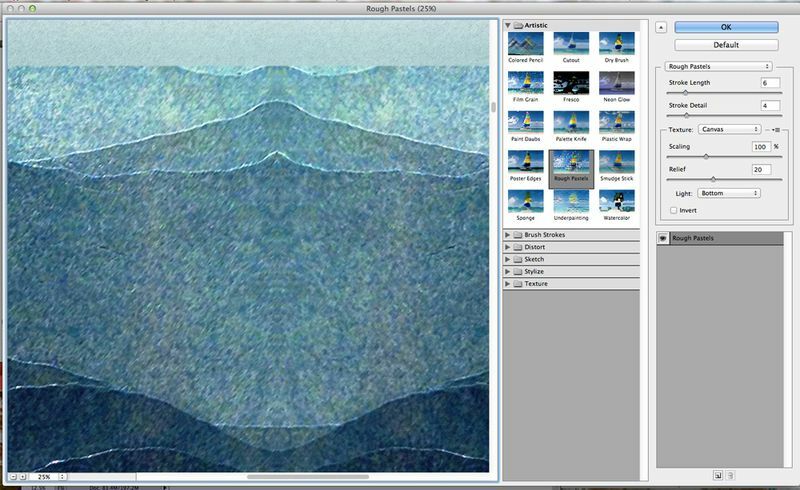 Next, I am going to use the Free Transform command to flip the image created on Layer 2 over to the right side of the document. Drag the target symbol in the center of Free Transform box onto any point along the vertical guide to indicate the “flip” point for the mirror image. With this selection still active, select Transform → Flip Horizontal in the Edit menu. 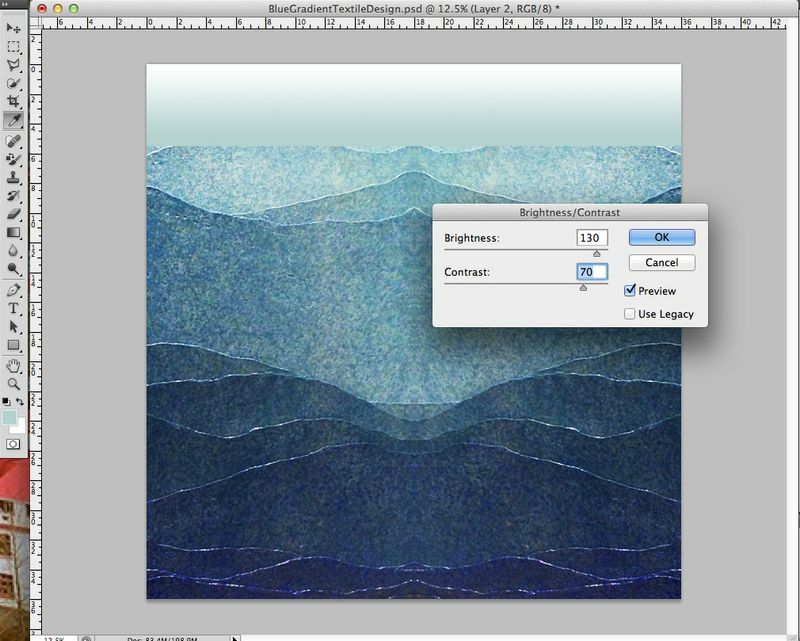 Create a duplicate copy of the background layer. 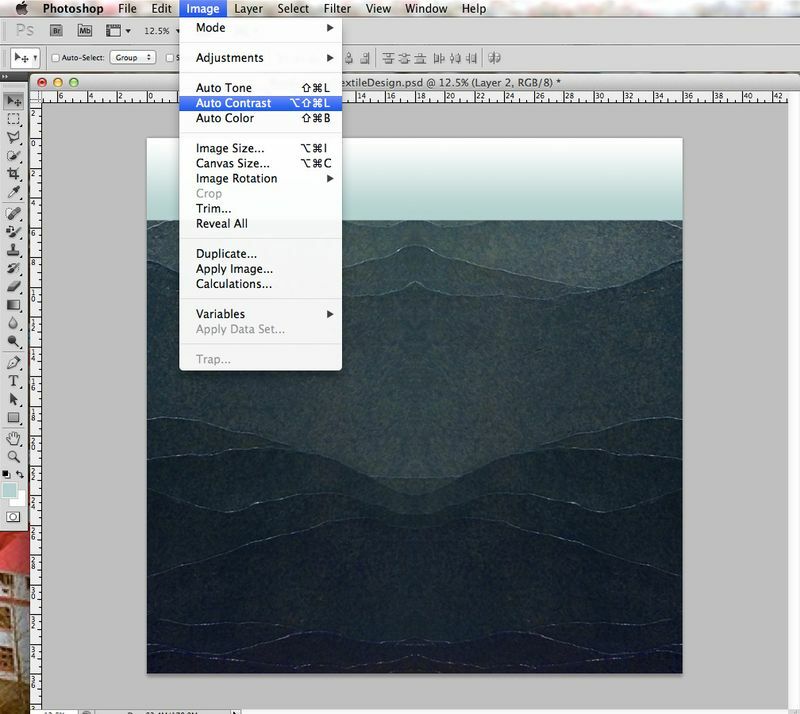 Then, merge Layers 1 and 2 by selecting both layers in the layers menu, right clicking, and selecting "merge layers" from the menu that appears. 5. Next, I am going to adjust the contrast. There are several ways to do this. One option would be to go to the Image menu and select Auto Contrast. Another option in the Image menu is to select Adjustments → Brightness/Contrast to manually adjust the settings. 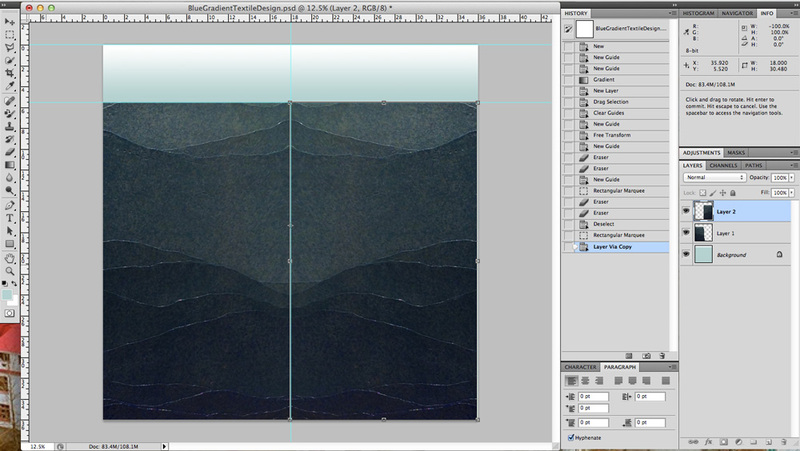 Next, I am going to add texture to the top gradient rectangle. 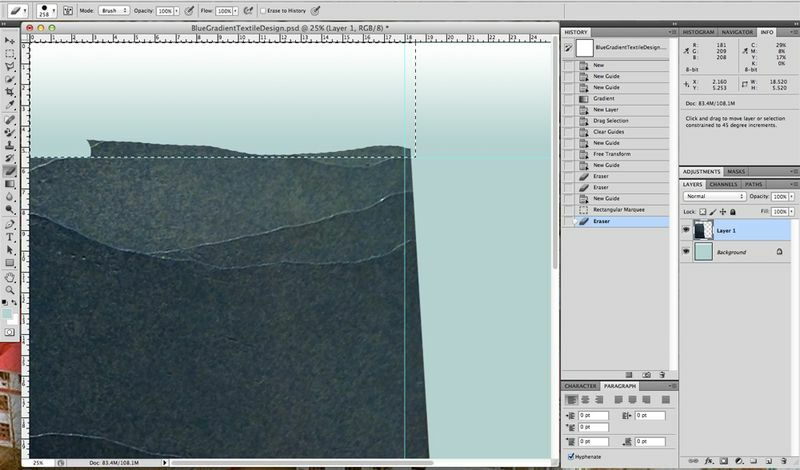 With the Rectangular Marquee Tool, I am going to select a rectangular chunk of the vase texture in the section that is most solid without any rippling lines running through it. To ensure a precise grab, I will use horizontal guides to mark off and measure out the height needed for the gradient area. In the Edit menu, I will select Copy Merged and then Paste. You can either nudge the new copy up, or click and drag it to fill the area. Layer 3 has now been created. 6. 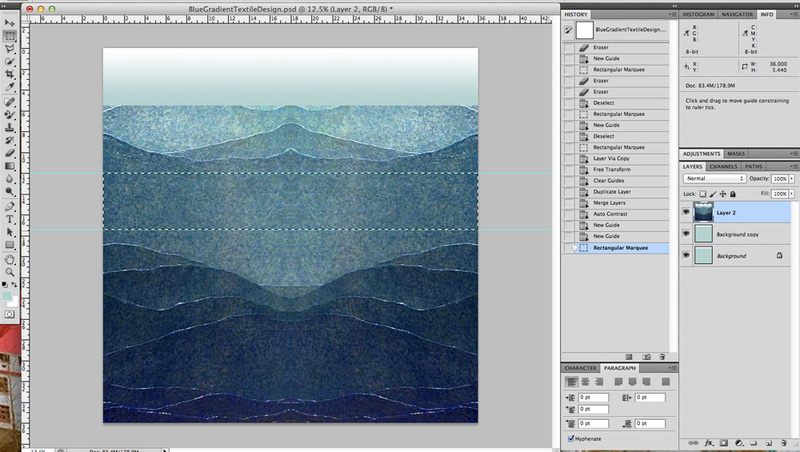 Next, with Layer 3 still selected, I am going to select Dissolve under the Layers Panel and drop my opacity to 13%. Now it may make more sense as to why I changed the foreground color earlier on as opposed to leaving it white. This way, the speckled dissolving effect blends in nicely with the rest of the design and has a more harmonious flow. 7. 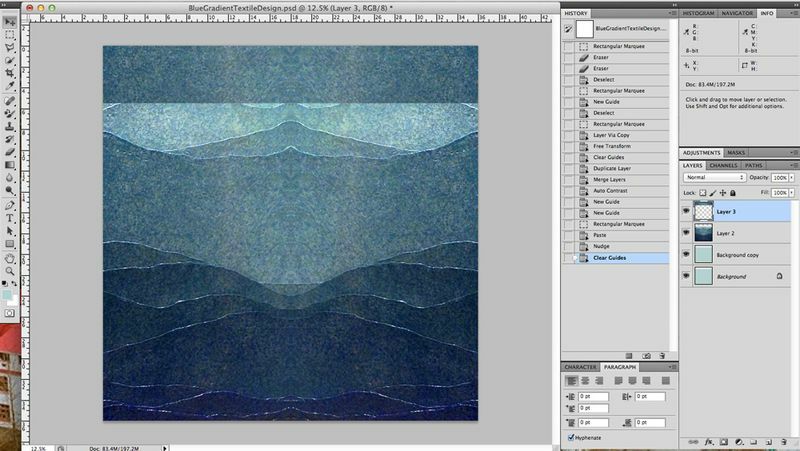 I am now going to merge the Background copy, Layer 2, and Layer 3 all into one layer by going to the Layer menu and selecting Merge Layers. I am going to add one more effect from the Filter menu and select Artistic → Rough Pastels, which also offers options to change the Stroke Length and Stroke Detail. 8. 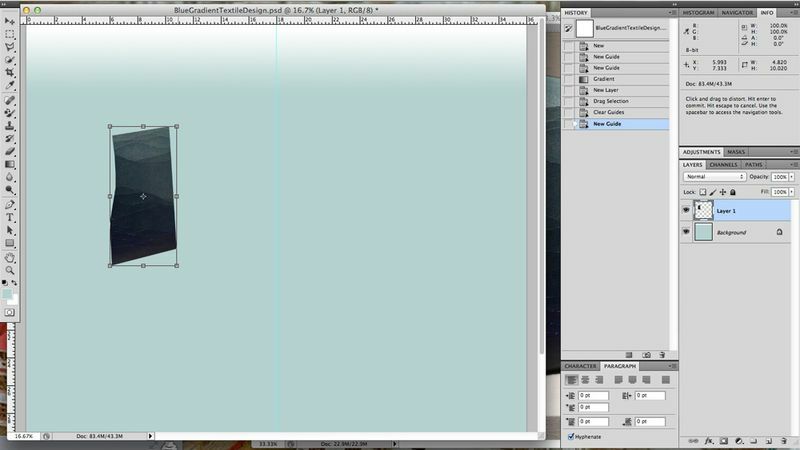 Lastly, I am going to save my file as a .PSD format and then again as a JPG, the latter which I will upload onto Spoonflower. 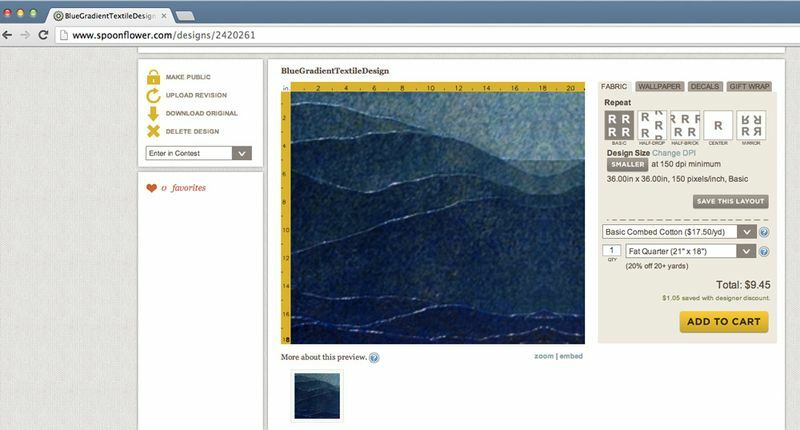 Once I am logged into Spoonflower, I select Create → Custom Fabric and upload my file. Once the file loads, I now have the option to preview my printed design at different lengths, widths, and at different repeats. I am not going to change my design size to go any smaller since I intended this to be an engineered panel print. For the repeat option, I will choose Mirror. 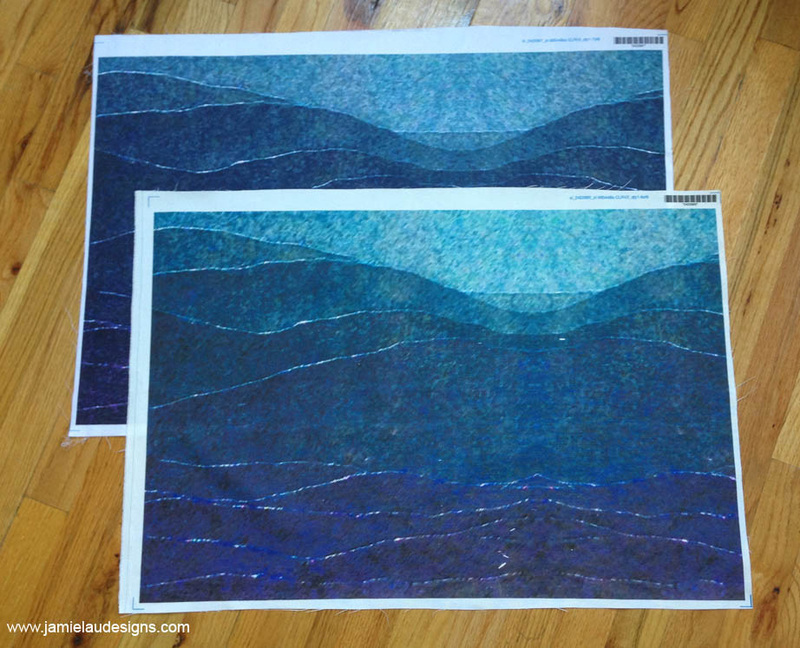 Since I am not working with a repeated pattern, I decide to have fat quarters of my design printed instead of 8” x 8” test swatches for my samples. It was really exciting to receive my fabric samples in the mail! I was mainly interested in printing my design on the 54” wide linen-cotton canvas or the 56” wide organic cotton sateen and ordered fat quarters of both options to see which version I liked best (and also to see if I needed to make any adjustments before going to final print). I am planning to sew this fabric up as a shift dress, along the lines of my Asymmetrical Seamed Sheath Dress design (without the skirt seaming) or my Dark and Stormy Shift Dress. 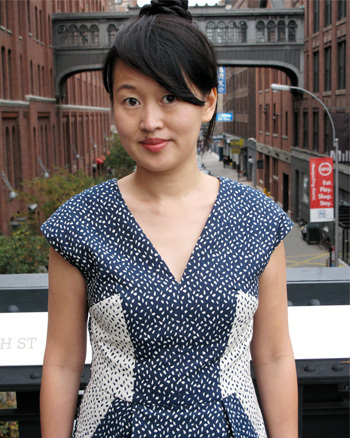 Since this fabric is pretty structured, it would also work well as a shift with a bit of an A-line silhouette. 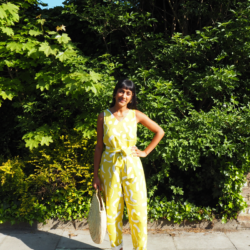 Stay tuned for my next two posts as I move away from the computer and hop onto the sewing machine to sew a dress from start to finish, sharing sewing tips and techniques along the way! 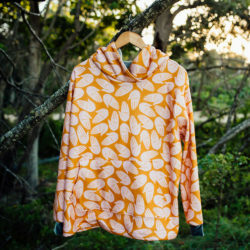 Just love the way you have developed this fabric – what an amazing imagination you have. Which version of Photoshop do you use. I am thinking about getting serious about designing fabrics. I note that there is Photoshop CS6 Design Standard, Photoshop CS6 Extended and just plain Photoshop CS6.All quite expensive, here in New Zealand anyway. Thanks for your lovely message! 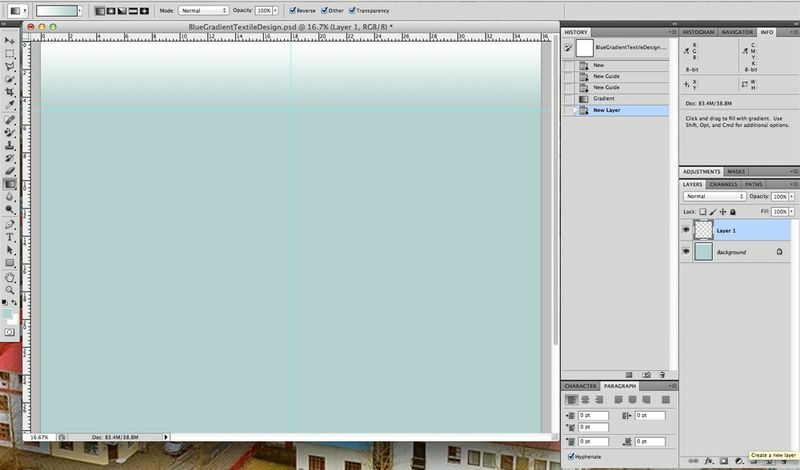 I currently use Photoshop CS5. Very creative and artistic. I love the fabric color. 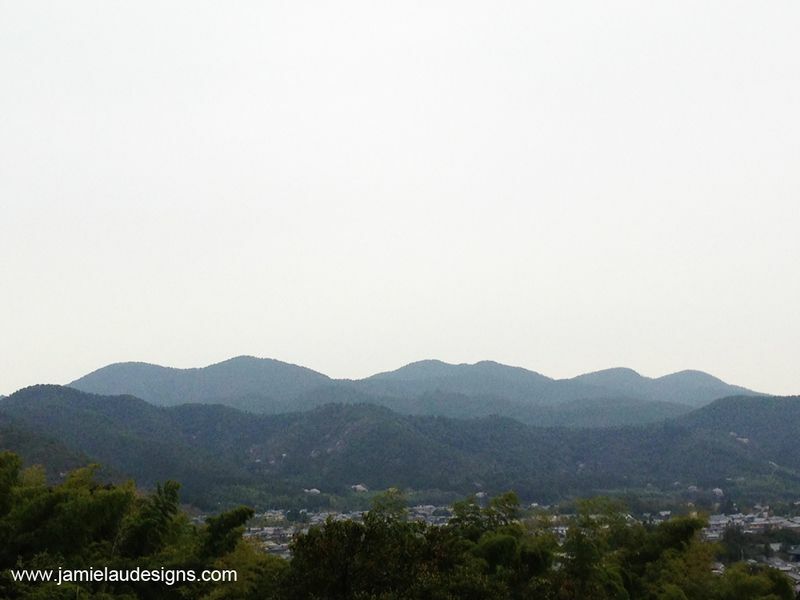 Feels like ocean waves and mountains combined. Looks like a piece of art work. Is this very difficult and costly to make? Are you offering any classess? Absolutely fabulous discussion of your stylistic and technical approach to design and construction. Thank you for the wonderful primer! Thanks for your thoughtful feedback. I’m glad you enjoyed the read. Stay tuned for next Monday’s post as I move onto even more design fun – sewing my new fabric into one of my dress designs! I’m glad you enjoyed the tutorial and found it easy to follow! Hello! This was a really helpful read. 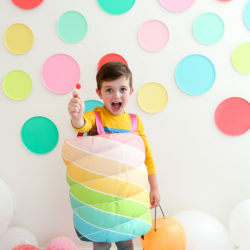 I am a painter living in Brooklyn and would love to take your class on designing my own fabric. How is this possible?